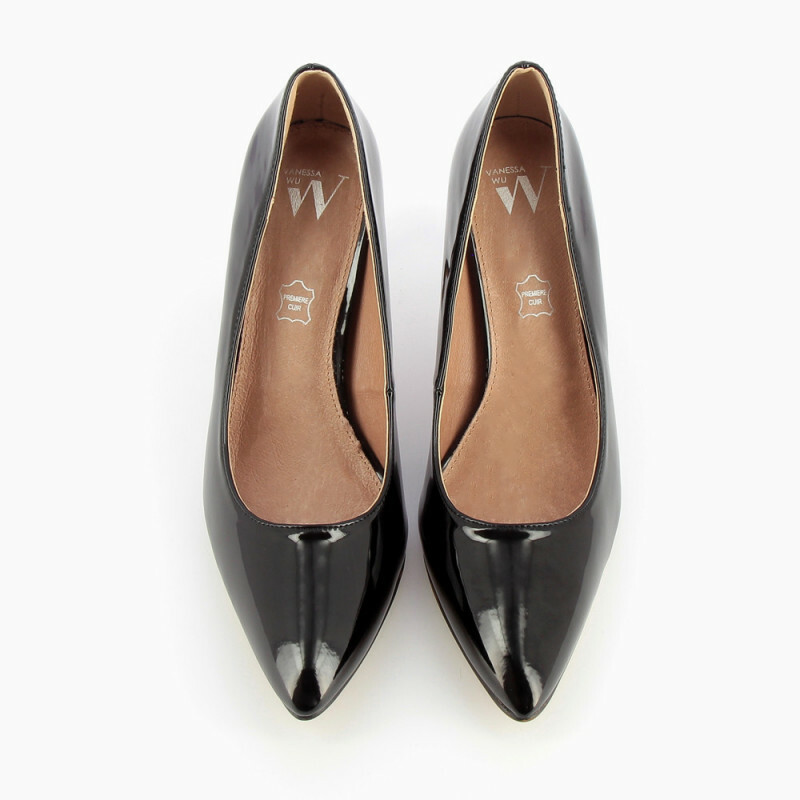 Black patent pumps with a pointed toe and covered heel. Vanessa Wu's detail: the ultimate feminine shoe, the Vanessa Wu pump has a padded cushion sole, bringing comfort and stability. Whether you’re a fashion addict or prefer the classics, this must-have shoe suits any style!